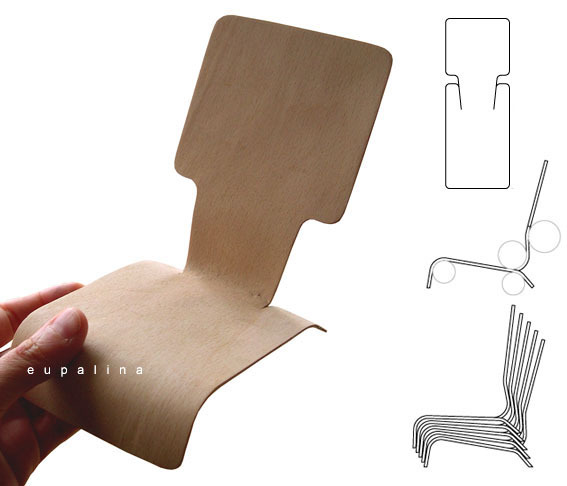 FLOORIGAMI chair, prototype-model for the ANDREU WORLD 10th Design Awards. Low chair, made by folding an only piece of plywood. 2010.